HOA stands for Home Owner Association. An HOA is an organization of people who own property that upholds the rules of that particular condominium, subdivision, or development. These rules administered by the HOA will limit the changes you can do to the property you own and are enforced by the HOA’s board of directors. These rules can be both positive and negative; they could prevent your neighbors from painting their house purple, but they could also prevent you building that outdoor backyard you’ve always wanted. 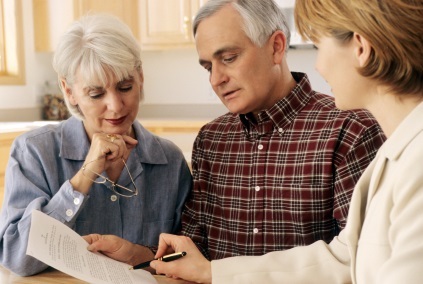 More often than not, participation in an HOA is mandatory if you are a homeowner living in an HOA-controlled community. Therefore, you will most likely be paying monthly fees to be a part of this HOA. Let’s quickly look at the pros and cons to decide whether it is worth the HOA fees. HOA fees cover a variety of amenities; the amenities are specific to the association. Be sure to request a list of services offered, along with the rules and regulations. Determine the cost of these services and whether the monthly fee is reasonable. If you do not find it reasonable, you can attend the association meetings and bring your concerns up for review. If you get enough homeowners behind you, there is a good chance the association would revisit your particular issue. What services are covered by HOA fees? Maintenance and repair of: the roof, paint, driveway, pavement, gym, pool, park, clubhouse and light fixtures. Fixing and/or providing your water supply, landscaping, pest control and tree trimming services. Storage, collection and disposal of waste and sewage. Also known as “Master Insurance.”, HOA insurance covers damage to the condominium structure and property. Most lenders require Personal Contents (walls in), and this coverage is not always in the HOA Insurance. Check this with the Insurance Provider. What are the potential limits of being in an HOA? Unfortunately, some HOAs have meticulous rules and regulations that don’t seem to make much sense and may add fees. For example, one particular condominium in Long Beach, California fined a homeowner $25 every time her cocker spaniel walked through the condo’s lobby. Other odd rules could include having too many plants on your property, not having matching roof shingles, or forbidding smoking inside the home. If you do a modification or renovation to your home without seeking permission from your HOA, you could be subject to some serious fees. This could potentially add a lot of stress in your financial situation, especially for new homeowners. Take these perks and downfalls into consideration when you search for a home or condominium. Condominiums require participation in the HOA and fees are inevitable. However, there are many benefits. If you are seeking a house, consider the cost may be cheaper to independently purchase these services than selecting a home that requires HOA fees.